UC Berkeley has offered admission to more than 15,500 freshmen for the fall 2017 academic year, according to data released by the campus in conjunction with the UC. The admitted students were chosen from a pool of more than 85,000 students — an 18.3 percent acceptance rate for incoming freshmen, up from last year’s 17.5 percent freshman admission rate. UC Berkeley’s 15,500 high school student admissions offerings represent about 15 percent of the total offers made universitywide — more than 100,000 high school students were offered enrollment for fall 2017 on at least one of UC’s nine undergraduate campuses. Campus transfer student admissions offerings make up about 19 percent of total UC transfer admission offers — more than 24,000 transfer students were accepted for this fall. UC Berkeley continues to have the lowest rate of transfer student admission at 27.9 percent, up 1 percent from 2016. This year, 4,617 transfer students were offered admission compared to 4,632 in 2016-17. More than 90 percent of these offers went to transfer students from community colleges in California. 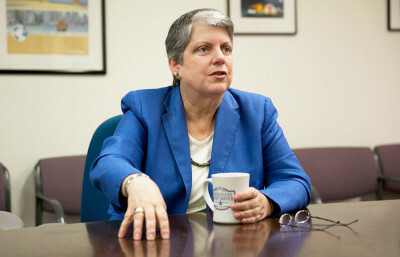 UC Berkeley has a goal of admitting one California transfer student for every two California freshmen. UCLA has the second-lowest rate of transfer admission at 28.1 percent. The acceptance rates then jump into the fifties and sixties for the seven remaining UC campuses. First-generation college students — students whose parents did not attend college — represent a slightly larger share of UC Berkeley’s 2017-18 class than in previous years, increasing from about 1,600 to about 1,900. The number of unrepresented minorities — students who identify as American Indian, African American and Chicanx/Latinx — also increased incrementally. 343 more students from these groups were offered admission this year compared to the last, for a total of 2,881 offers. The 2017 freshman class is made up of students from 74 countries, all 50 states and 49 of California’s 58 counties. 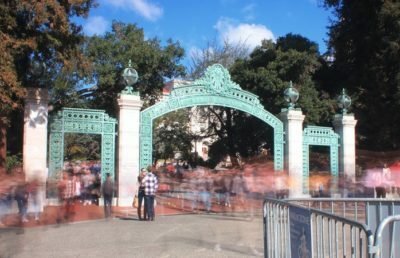 In its freshmen admissions, UC Berkeley admitted 0.4 percent fewer California residents this year as compared to last year — 9,715 students — while admission for out-of-state students jumped 28 percent to 4,490 students. 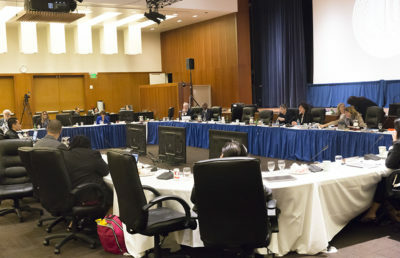 In May, the UC Board of Regents approved a systemwide out-of-state student enrollment cap. Beginning in fall 2018, all UC campuses will be capped at enrolling 18 percent nonresidents — unless a campus’s 2017-18 student-body composition of out-of-state students exceeds 18 percent. At those campuses, including UC Berkeley, nonresident enrollment will be capped at the level of nonresident enrollment for 2017-18.